Keeping the family entertained can be hard work! Check out our list of attractions for kids in Atlanta. Indoor and outdoor activities are all over the metro Atlanta area waiting for you and your children to come play. 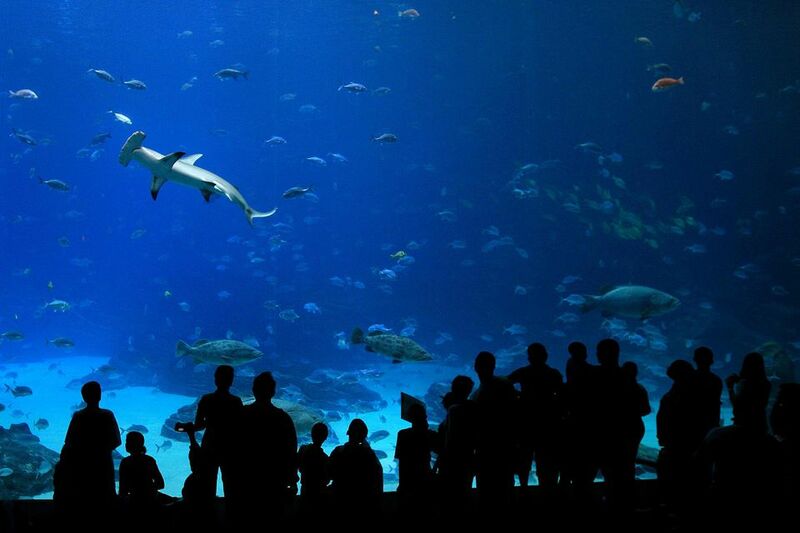 Downtown Atlanta is home to many great attractions for kids - including the popular Georgia Aquarium and World of Coke. One more to remember is the Imagine It! Children's Museum. With rotating exhibits, there is always something new for kids to explore. North of Atlanta, there is also the INK Children's Museum. Located in Gainesville, INK is set up like it's own little town that kids can explore. They can try out different pretend "jobs" and act out real-life activities. Indoor trampoline parks are a fun, new activity that has made their way to Atlanta. They are basically a giant room where the whole floor - and even the walls - are made from bouncy trampolines! These parks are mostly geared toward kids, though they have fitness classes and jump time for adults too. Atlanta's first trampoline park is SkyZone, up in Suwanee. Prices to play are: 30-min jump: $9; 60-min jump: $13; 90-min jump: $17; 120-min jump: $20. Jump times start every 30 minutes. At most times, open jump is available. They also have special teen and tween jump times. Hang Time brings the trampoline park phenomenon in town to Buckhead. There will be two areas, divided by age for a safe jumping experience for everyone. They'll also have fun activities like dodgeball tournaments and foam pits. Hang Time will be located next to Fork and Screen. LEGOLAND Discovery Center brings the fun of LEGOs to a whole new, life-sized level! There are tons of attractions at LEGOLAND. Kids can see how LEGO blocks get made, check out a 4-D film (with wind, rain, and snow), see Atlanta landmarks in LEGO form, play with lasers, race cars and more. LEGOLAND is located at Phipps Plaza in Buckhead. Summers in Atlanta are hot! Cool off with the family at Atlanta's aquatic centers and splash fountains, including the famous rings in Centennial Olympic Park. Water parks are another summertime favorite! White Water has activities for all ages of kids - and adults, too! There is also the modest but fun Sun Valley Beach, located in Austell. A little bit out of town, take the family for a day or even an overnight stay to Robin Lake Beach at Callaway Gardens or Lake Lanier. Our list of birthday party ideas for Atlanta children highlights tons of great ideas for fun with children, and they aren't limited to just birthday fun. Family attractions include Stone Mountain, Andretti Speed Lab, Medieval Times, the American Girl shop and more!